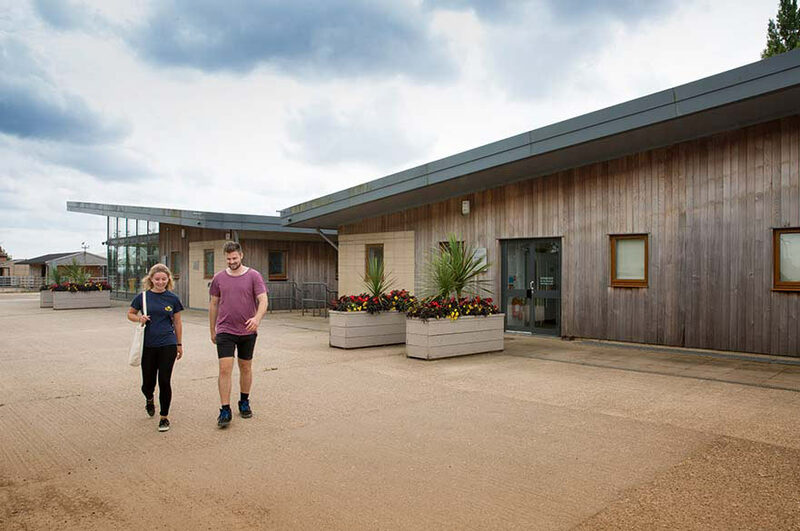 Housing over 150 animals and more than 40 species on an idyllic 200-hectare farm and woodland estate, there's no better environment for the study of small and larger animals than the animal unit at our Brackenhurst Campus. 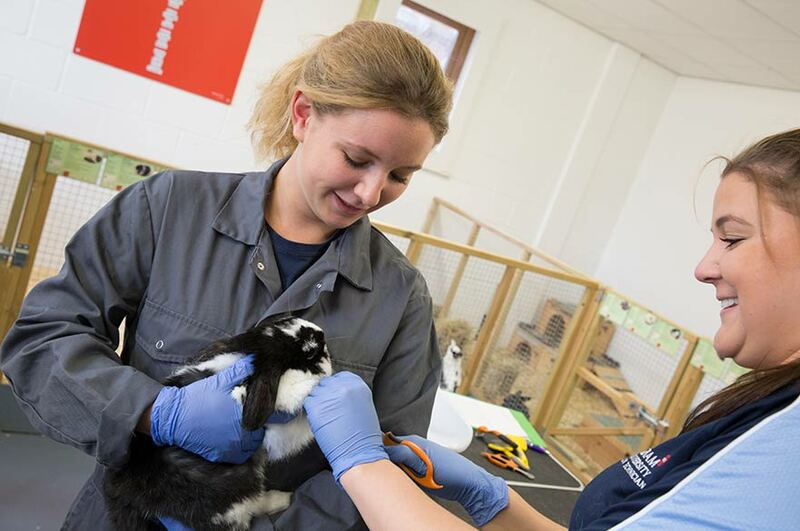 It's designed to facilitate a range of courses, from Veterinary Nursing to Zoo Biology, and to give you the knowledge and practical skills you'll need to secure a job in the industry. 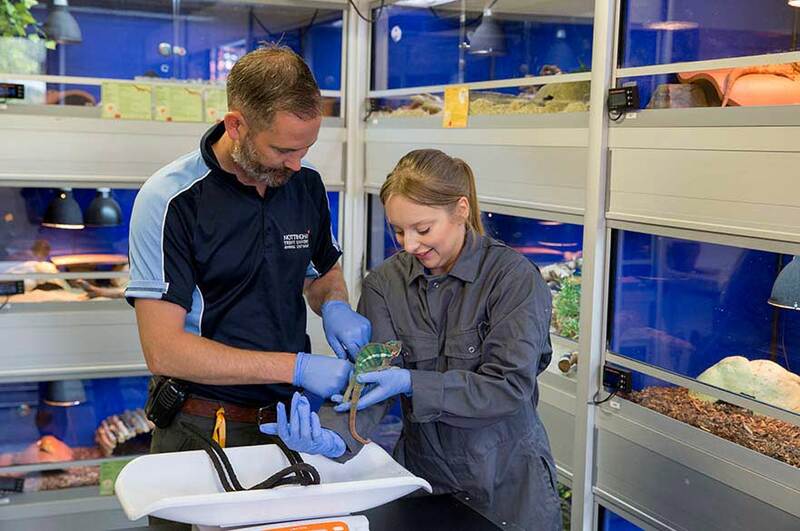 We constantly strive to ensure the Animal Unit is fully stocked with a diverse variety of animals, providing the opportunity for students to gain experience of becoming confident handling a huge range of species. You’ll get the opportunity to study with companion animals, reptiles, birds, fish as well as larger animals including donkeys, horses and goats. All our animal enclosures are modern and designed to exceed RSPCA floorspace recommendations, providing exceptional welfare standards. Why not broaden your horizons and give something back by taking part in our animal unit's successful volunteer programme? The 'VolPro' is an extra-curricular opportunity open to all students at Nottingham Trent University. You'll get the chance to work closely with our skilled team of technicians on a variety of tasks such as maintenance, health checks, medical administration and behaviour management such as enrichment and training. 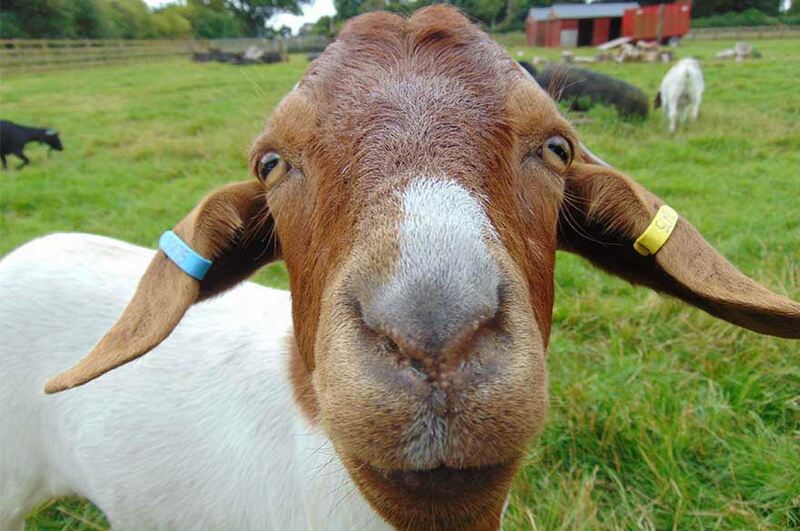 Previous sessions have included taking the goats on harnesses around the estate, foraging walks, positive reinforcement training, and even making ice lollies for the animals and taking the rats swimming. These sessions are recognised and verified by the Higher Education Achievement Report (HEAR) to support your CV and boost your employability. Qualified and experienced academic and technical staff provide expert tuition in animal handling, animal training, environmental enrichment and much more. View an overview of our research within Animal Sciences.